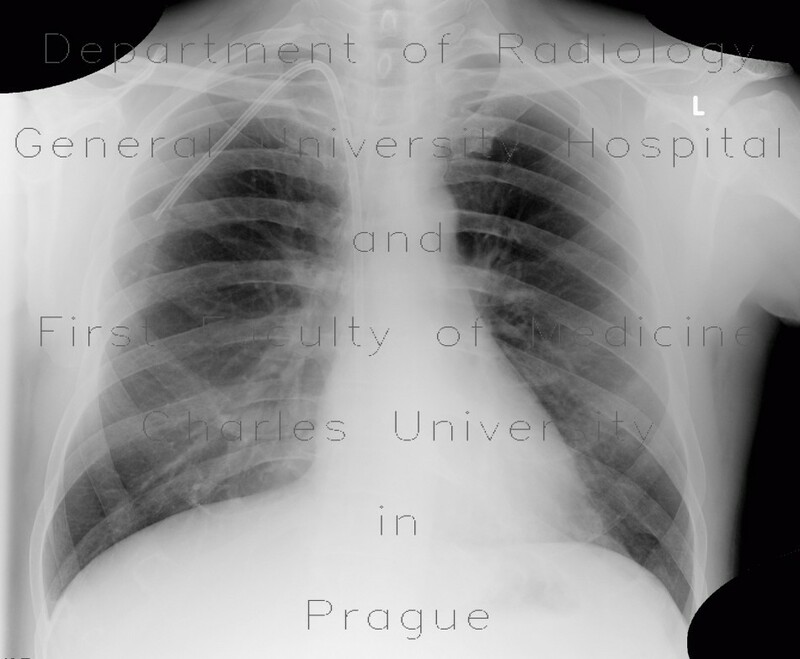 The first radiograph shows normal transparence of both lung wings. Follow-up radiograph shows decreased transparency of the left lung wing. CT confirmed presence of an extensive consolidation of the left lung lobe.